Copyright of all photographs and text is with the SLHS or the author/publisher and photos are for personal use only. Permission to be sought from the society or publisher for publishing or inclusion in any multi media. Write to slhspublish@btinternet.com and a request will be re-directed to the appropriate person. The Shincliffe Parish of 2016 includes Sherburn Hospital, Whitwell, High Shincliffe (Bank Top) Houghall and Shincliffe Village. Shincliffe and its environs have always been sheltered by hills on every side except to the West, where it opens to the Wear revealing a distant view to Houghall Woods and the curve of the river towards Croxdale; one can hardly imagine the Anglo-Saxon origin of its name means ‘steep hill of evil spirits’ which may relate to the hill leading up Bank Top. The Parish now includes some of what were formerly the estates of Christ’s Hospital in Sherburn, or Sherburn Hospital as it is commonly known. The local landscape is undulating farmland and includes flat river plain, sand, gravel and river deposits. Over time, some of the local population have always worked the land, or mined and quarried here or elsewhere in County Durham. Before the Victorian Era there was an element of self sufficiency, but this family provision and resilience soon petered out with industrialisation, when most food was bought. Bishop Huge de Puiset (Bishop Pudsy) established the hospital in 1181 to care for 65 lepers and it was called Christ’s Hospital as it was dedicated to “our Lord, to the Blessed Virgin, to St. Lazarus and his sisters, Mary and Martha”. 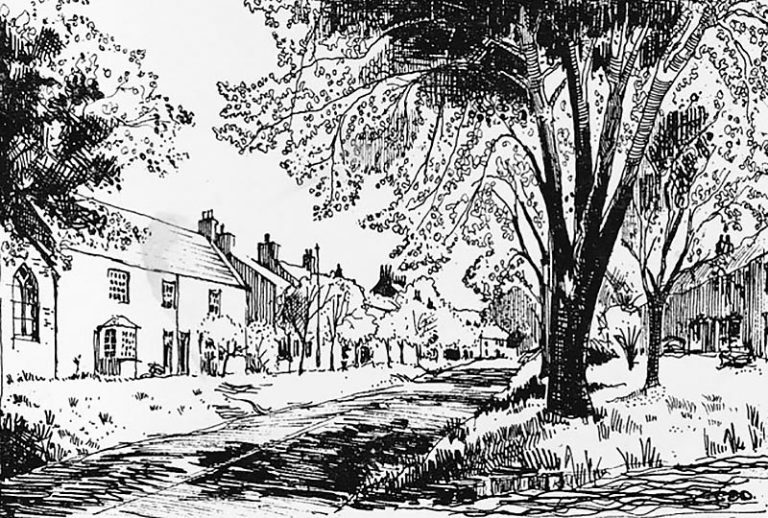 There were many lands endowed to the hospital, from which it made its wealth and the Mill was on Sherburn House Beck. It was coal mining including the revenue from Sherburn and Whitwell Grange that made Sherburn Hospital wealthy. By 1872 the foundation was running a hospital and a dispensary – the dispensary had an average annual attendance of 3,700 in line with the poor sanitation and disease suffered by the families of the miners and farmers. There was a Roman villa north of Old Durham Beck, opposite Maiden Castle. There are three excavations between 1941 and 1951. There is also a road running almost due North across fields called ‘Strawberry Lane’, which might have been a Roman road. This suggests there was a ford near the area of the present bridge, though thee are doubts about a Roman ford which has been suggested. Whatever is hidden in the mists of Roman and Anglo-Saxon times, we come to firm ground in the 11th and 12th centuries. During these centuries the lands of Shincliffe were given to the Convent of Durham by Bishop Carileph (1081-1096) and confirmed by charter of Henry II (1154-1189). From these two centuries there has been a community of people living in and around the village of Shincliffe. The village provided farm produce and labour for harvest as their tithes and orchards in the village kept the convent in apples. It is said, however, that William Sever Abbot of St. Mary in York 1485 and later Bishop of Durham 1502-1505 was born in Shincliffe; likewise it is possible there is a link with the Chancellor of the duchy of Lancaster, who was beheaded on Tower Hill in 1510, but more research needs to be done to confirm it. 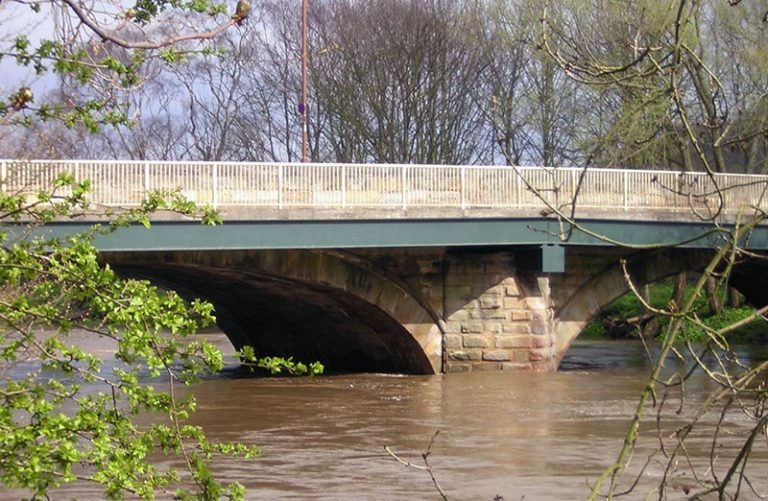 A fascinating tale is told about Shincliffe Bridge, which is the fourth to span the river since 1200 AD. Mention has already been made that there was a ford at that time but in 1200 a bridge was erected and money was provided for its upkeep. By the time of Bishop Fordham (1381-1388) it had fallen into decay and money was set aside for its repair: but the money was either embezzled or misapplied. The Bishop set up a Commission of enquiry but nothing came of it. 6.1 Bishop Skirlaw (1385-1405), at his own expense, had erected a “notable bridge of three arches”; and this stood until a violent flood on Saturday, February 17th 1753 swept away one of the piers leading to the fall of the two northern arches. It was repaired in the summer of 1753. (In the Cathedral Library there is an engraving of the bridge showing the destruction wrought by the flood). 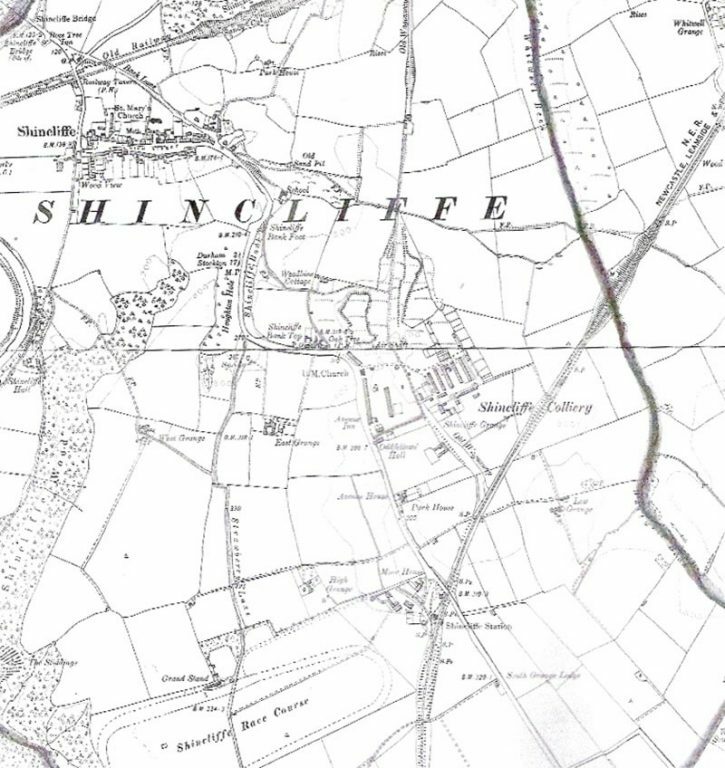 6.2 In the mid 18th century a family settled in Shincliffe. William Rudd (1731-1795) “built his villa seated in a delighted retirement, commanding a solemn view of the sequestered vale with its hanging woods which form a beautiful amphitheatre, a scene excellently adapted to study and retirement. ” This ‘villa’ is known as Shincliffe Hall. With Rudd’s death it looks as if it passed through many hands and is now in private ownership. Additions have been made to it but Rudd’s building can be seen still “seated in a delighted retirement, commanding a solemn view of the sequestered vale”. It is well worth the walk to it and into Shincliffe Woods. 6.3 On the other side of the river from Shincliffe, land is drained and cattle still graze. The name Houghall derives from the Anglo-Saxon for ‘water-meadow by the hill-spur’, hoh (hill-spur) and halh (low-lying land). Good use was made of the marsh by the way of fish ponds for the Convent. It was at Houghall Hall, in the 17th Century, where Parliamentarians entertained Oliver Cromwell in their Hall. By then it had an added wing and had developed into a moated limestone manor house owned by the Marshall family, and later by the Dean and Chapter. The House is long since gone but the ancient barns and their timbers are still of note and traces of the line of the moat can still be seen. Some of the parish sites are notable and some of these were operating in living memory, for instance the nonconformist chapels, some of the former school sites and local businesses. Thompson and Morgan distributed seed potatoes, regionally, from Hall Farm, the Milk Marketing Board had a base in the village and a sawmill operated at High Shincliffe. A ceramic bottle displayed in the Rose Tree and the text on it tells us that Whitwells were selling Ginger Beer from the parish. Leisure time activities were consistent with practices in each of the historical eras and included in activities were several pubs, Sunday School outings, school events, a royal visit to The Aged Miners Homes and racing at the Old Racecourse in Shincliffe, not to be confused with the Durham Racecourse, which was also in operation. Up to the beginning of the 19th century the population was small, mostly engaged in farming with tradesmen necessary to support this work. In 1801 the population was 204 people; and a tithe map of 1839 reveals only the village with scattered farms mostly on what today is known as High Shincliffe (frequently called ‘the Bank Top’). But like many places in the County of Durham the Industrial Revolution made its impact. In 1839 borings for coal had begun on the Bank Top, a shaft was sunk and coal mined, with the consequent upsurge of population. (The 1871 census tells that the population had risen to 2183, with housing development, shops and chapels; but the village remained largely untouched. Sudden expansion of the villages was short-lived. The rise, close and levelling of the pit at High Shincliffe-“Bank Top”, Houghall Pit and also the pit at Whitwell (Shaft sunk 1836) contributed to the rise and fall of the local population. 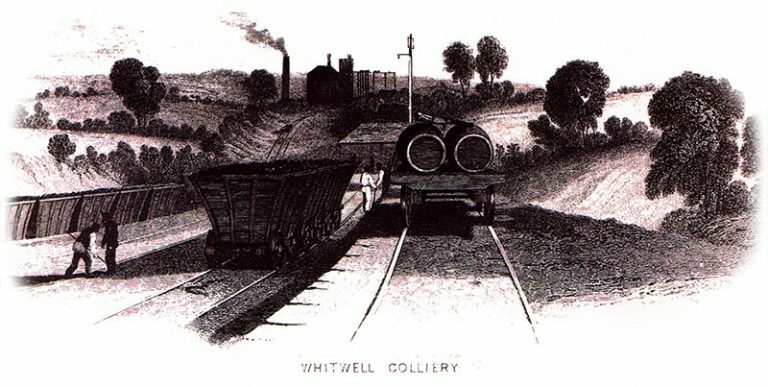 The Colliery finally closed down in 1879. “By 1871 the population of Shincliffe Parish had increased from 302 in 1831 to 2,123, which is larger than today. 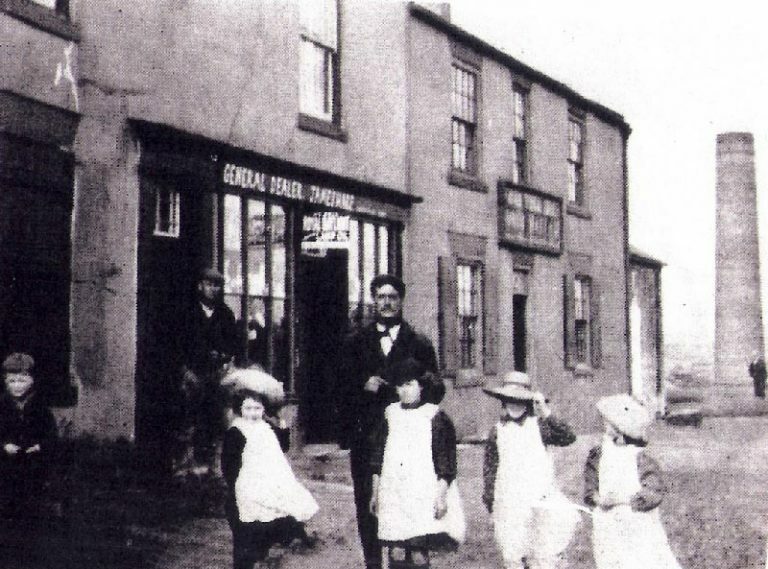 (1,176 in 2011)” The population steadily declined after this to 883 in 1901, where it remained more or less until the re-development commencing in 1961 both in the village and on the Bank Top. Living conditions were challenging and in 1875 the Medical Officer for Health recorded 5 deaths from measles, 72 from scarlet fever, 15 from whooping cough, 71 from typhus, 79 from cholera and diarrhoea. 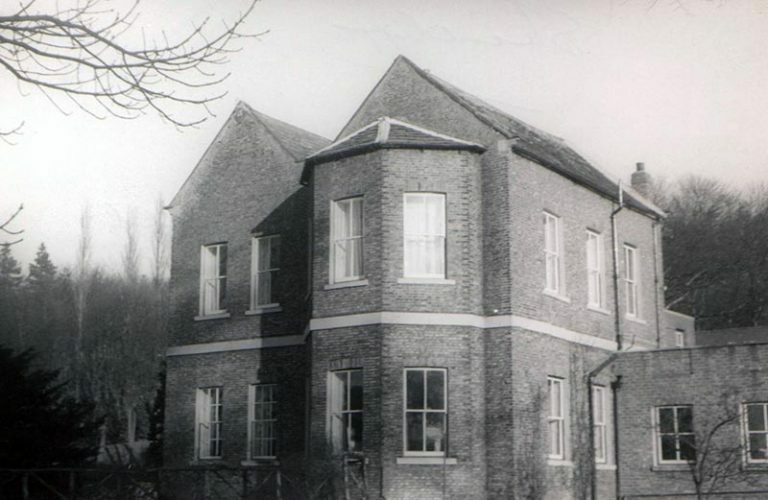 An isolation hospital was not financed at Houghall until 1893. 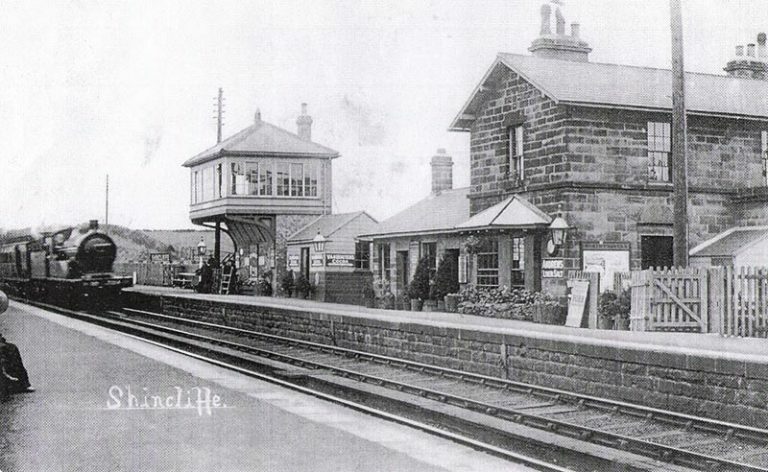 Shincliffe did not escape the building of railways. In 1839 the original station was opened at the site of the WI hut and remained until 1893. A line of the track can be traced along the ‘Battery’ – near the old Railway Tavern -this was the extension, circa 1842 to Houghall Colliery and beyond. (Low Burnhall). It continues on through the woods on the south side of the Hartlepool road. In 1844 Shincliffe Station, on the then main line, (Newcastle and Darlington Railway, later LNER) was opened on the Bank Top and functioned as such until 28th September 1941; the line was ‘mothballed’ in the 1970’s. The Railway Tavern was visited by many leaders of great note, especially Labour Party leaders and Union Leaders who used the tavern as a traditional watering hole on the days near the annual Durham Big Meeting. With colliery traffic and local quarrying and brick making, the bridge proved too narrow, it was in need of repair, and was too dangerous to widen because of the weakened state of its foundations lying on shifting gravel and sand. In January 1824 a new bridge was commenced and opened in September 1826 at a cost of £7,056. To make a more direct approach to the village the line was moved more to the East; and it is this bridge which is used today. 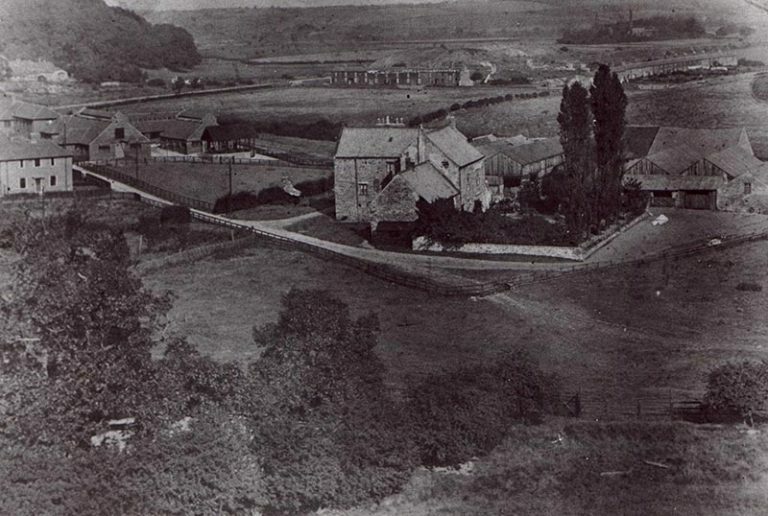 Until 1826, Shincliffe was part of the big and ancient Parish of St. Oswald in Durham. It would seem just prior to this year the inhabitants of Shincliffe saw the need for a church in the village. In 1826 the Dean and Chapter gave the Old Tithe Barn to be consecrated into a Chapel of Ease for the Christian community. The Bishop consecrated it on the 23rd September 1826 and the first services were held in it the next day. In 1831 Shincliffe was constituted a Parish in its own rights; and in 1866 the benefice became a Rectory. Apparently the tithe barn proved cold and draughty and the population of the parish was steadily increasing. 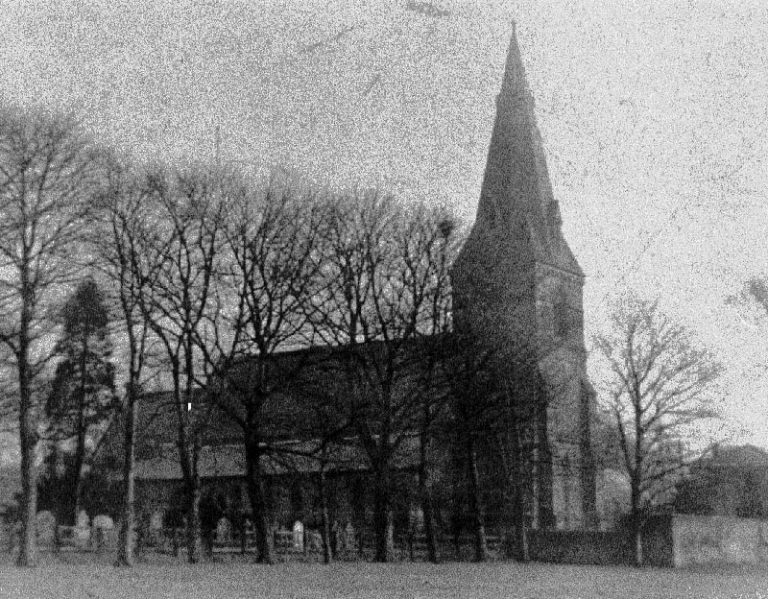 The Reverend Isaac Todd and the churchwardens with other inhabitants set about building a parish church, which was commended in 1850 and ready for use in 1851. The spire was added in 1870 as a testimonial to Reverend Todd who served first as a Perpetual Curate then as Rector over 46 years. The font came from the church of St Mary the Less in the Bailey in Durham and is early 19th Century. The windows were given by friends in the memory of Thomas Ward, church warden, who had promoted the building of St Mary’s but died two months before its consecration. 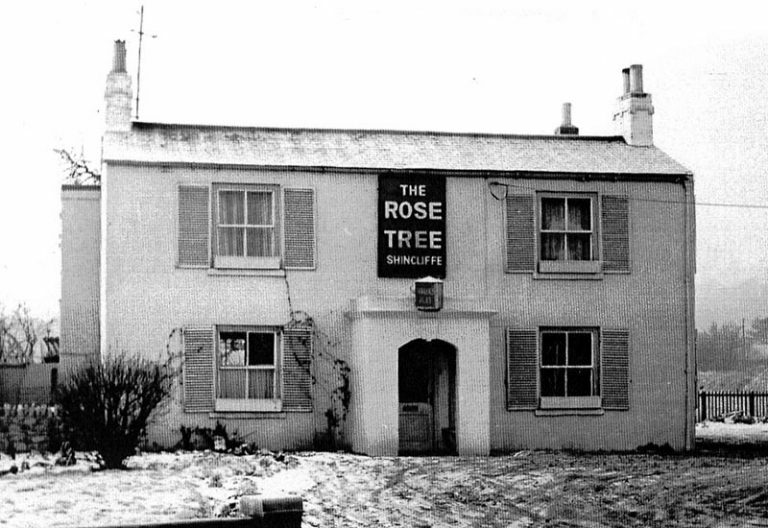 Originally the Durham/Stockton road ran through the village, entering at the Rose Tree Inn and leaving two houses beyond the Seven Stars Inn. 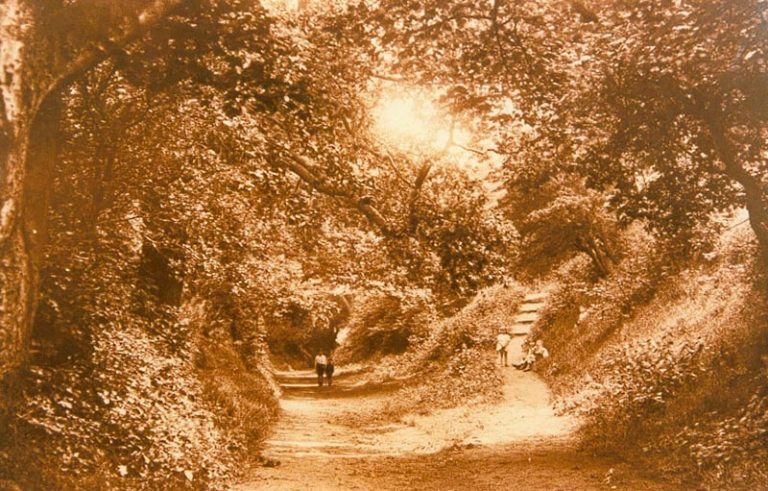 Between these two inns, on the east side of the village was a leafy dell; but in 1934 this dell was uprooted and a road constructed as it is today. The older inhabitants of Shincliffe still call it the ‘Bye-pass’. You can still see where the old road ran after leaving the village, as it ran through the lay-by which is at the foot of what was the Old School. In the Teeside direction from the traffic lights, about a half a mile along the Hartlepool Road (A181), there is a cluster of houses. This is the site of the Shincliffe Mill, which is known to have functioned from the 14th century until early in the 19th century. No trace of it remains, though a sunken and semi-circular field on the north of the road might suggest the run of the mill stream. In the present day, Shincliffe and High Shincliffe, as well as the villages and hamlets around, are well connected by modern roadways.